Notes on mini-LAT meeting regarding Oxford Street – 20th August 2013. Present – Cllr Ian Davey, Jim Mayor, Pat Stringer (deputising for Mike Best), Mark & Daphne de Boissiere, Richard Baraball, Andy Winters, Bob Curtis (Federation of Small business + London Road Traders), Chris Gull, Stephen Andrews (Serendipity) , Joe Nicholls (Portas), Mohammed Asaduzzuzman, Jean Boyd, Phyllis Dawes, James Murphy (CRI), Bob Chilton, Philip Wells ++ … total attendance around 20 people. Philip Wells reported that each of the 12 traders (or establishments) on Oxford Street had been personally visited and invited the day before. An email address had been left for further reference. Several had expressed the intention of coming to the meeting. There was informal discussion under headings (1) What are the problems (2) How does the council see things at the moment. 1. What are the problems with Oxford Street? Bob took us through a power-point sequence of useful photos, and other people contributed observations. – going south along London Road, towards West end of OxSt. Signage unclear. 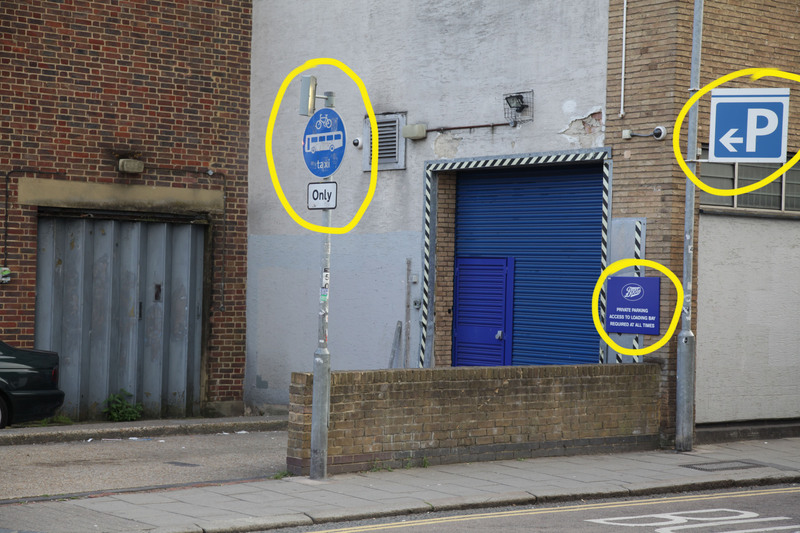 No indication of “no left turn” until you make the turn and find “only buses, taxis and cycles” displayed as blue circular advisory notice. At present, the bus lane which is marked out in Oxford Street is not enforceable. This may be made enforceable if agreed at Environment, Transport and Sustainability Committee in October. The reason for making this enforceable would be to assist in reducing congestion for buses and taxis. This would help to make the bus service more reliable. – there are very limited “left turn” exits going south down London Road (further south there is Oxford Place and Queens Place – both very narrow indeed. – going north along London Road – no right turn (except buses and taxis) is signed ahead of the junction. – why so fast for buses to come south and turn west? – it is poorly signed. And how does one get there? And how does one exit to go anywhere else? – what route would one take … it is very unclear indeed! – this is still not as well signed as it could be. e.g. traffic approaching from London has to select the right hand land as far ahead as the railway Viaduct. – pavements along OxSt are too narrow. e.g. two buggies cannot pass without going on to the roadway. – this is an important artery for buses. Seven important routes go through here. – question: is the green light optimised for buses? Are pedestrians waiting too long, and at the wrong moments? A traffic scheme was undertaken in 1997. It prioritised vehicles over other users of the area because that’s what transport schemes did back then. So the current environment tries to get vehicles around as easily as possible. Any consideration of pedestrian needs would be secondary. (However just because any current council funding towards LR is coming through the transport pot, it doesn’t mean we will just consider vehicles when we spend that money – we need to balance everyone’s needs). It was before my time at the council but it doesn’t seem clear how far the scheme was successful and how far it may have created additional problems. It could be that some elements delivered by that scheme don’t work as well as intended, but were not revisited to check and tweak as necessary. There is a case for making physical changes to Oxford Street, such as widening footways, to overcome some of the issues raised. However that would be expensive. 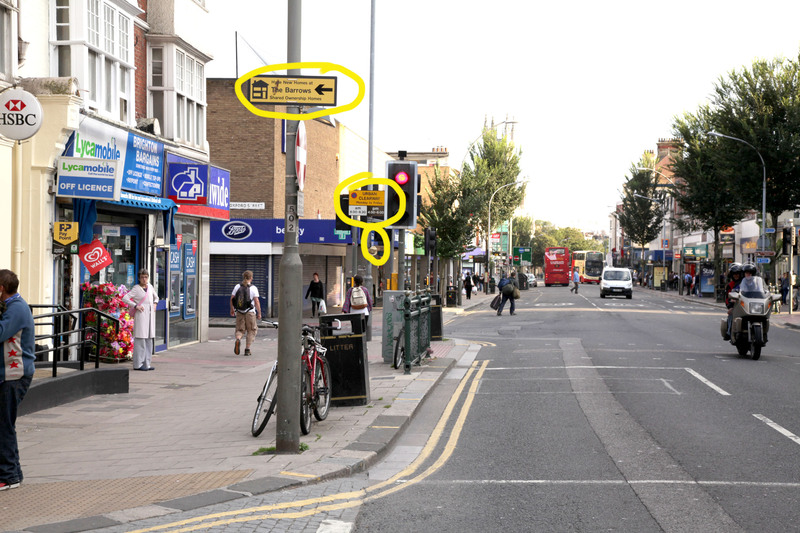 We currently have an indicative sum for improvements in the London Road area. This includes just over £300K next financial year. This could be spent in Oxford St. However, it may be better spent in other areas. There are also cases for investing in London Road, Baker Street, improving the crossing from Ann Street etc (we are pursuing a separate funding stream through the Valley Gardens scheme which if successful would enable us to improve the Ditchling Road and Cheapside Junction areas). The first task is to develop a “Concept Scheme” for the whole London Road area, get indicative costings for the various sections within that area, and then work together to agree how the funding we have should be most usefully targeted. This work should start quickly – there is a current hold up in the procurement of a design team to support the process due to resource, but the work needs to start soon and residents will be included in the whole process. 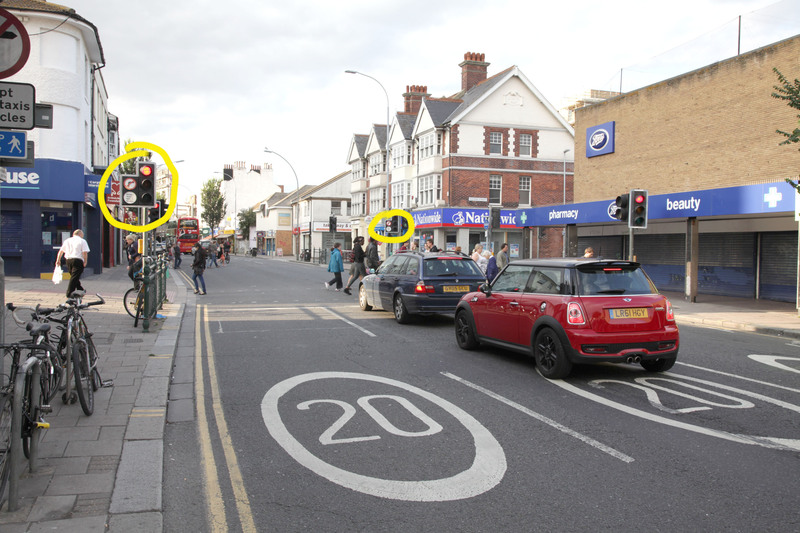 In the shorter term, we will look into whether anything can be done about a temporary crossing improvement at the Ditchling Road end of Oxford Street, the confusing signing and the car park signing because everyone wants more people using the London Road Car Park rather than driving further into the city to park. – Check if signal timing be improved? – Check if enforcement of existing regulations be improved? Bob Curtis: would you be looking at Preston Circus. Jim Mayor: we will be looking at whether it would be possible to improve Preston Circus as part of the concept scheme process. There was also a question as to whether we would be using the traffic model as at 7 Dials. We will use the model – [although the area concerned is much bigger and more complex- added by P.W. ], but possibly not do visualisations as at 7 Dials. After -meeting email from Jim Mayor 23/8: [Council] is going to put a temporary crossing island in the hatched area of the road at the eastern end of Oxford St. This will be done as soon as the temporary island is received, which could be up to 6 weeks. Basically it’s a rubber construction that bolts into the ground. If its successful and we don’t make more major changes to the junction through the London Road or Valley Gardens projects, we can make it permanent at a future date. This should slow traffic and make crossing easier by creating a refuge in the middle of the road.… As for the question about how the traffic signals work – they just run on a timer – not when they sense a certain number of buses waiting to go. our traffic team are in the process of formalising the traffic order for Oxford Street that will enable us to sort that signing out. I’ve asked that we take the opportunity to de-clutter the area of unnecessary signs when the new ones go in. Members of LAT will have the opportunity to comment on that order when it is published for consultation. Further details including plans may be seen on our website at www.brighton-hove.gov.uk/tro-proposals (reference TRO-21-2013) from Monday 21st October. The proposal is to make clearer the existing restrictions i.e. to make the short area of bus lane enforceable. Comments in support or objection can be made via the website referenced above. The following comments should not be taken as support nor objection to the proposed TRO, but are offered to advise the Council regarding the thoughts and concerns expressed in and to the LAT. 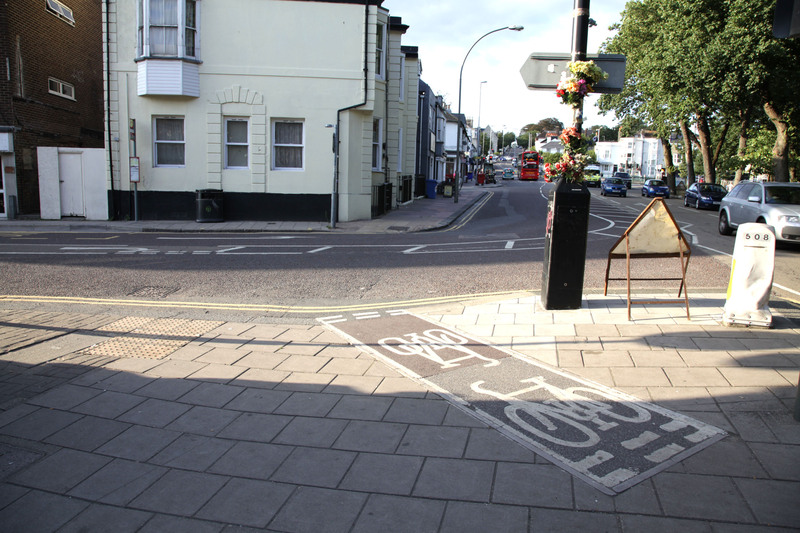 The proposed TRO is a sensitive issue – and whether it goes ahead or not please can serious attention be given to the whole traffic flow in and around London Road. These comments are made on the understanding that the proposed TRO is not intended to be solution in itself, but needs to sit within a larger consideration of the whole traffic flow within and around London Road. We understand that such an investigation is being conducted at the moment. The LAT has received comments over a long period from one correspondent who has expressed concern and indignation that the “bus lane” prohibitions are regularly and repeatedly flouted. This matter has been brought to various LAT meetings for investigation and discussion. 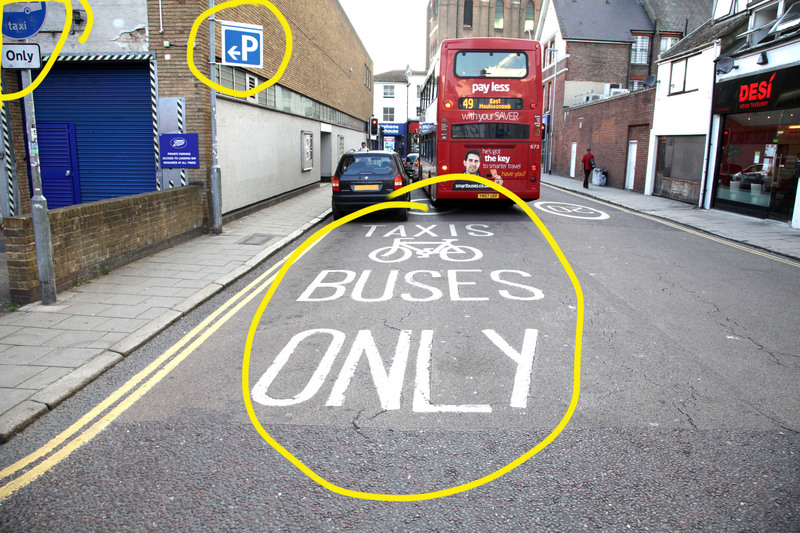 It has been asked “why is the bus lane not enforced?”. Other LAT members have commented on the difficulties of pedestrians crossing. 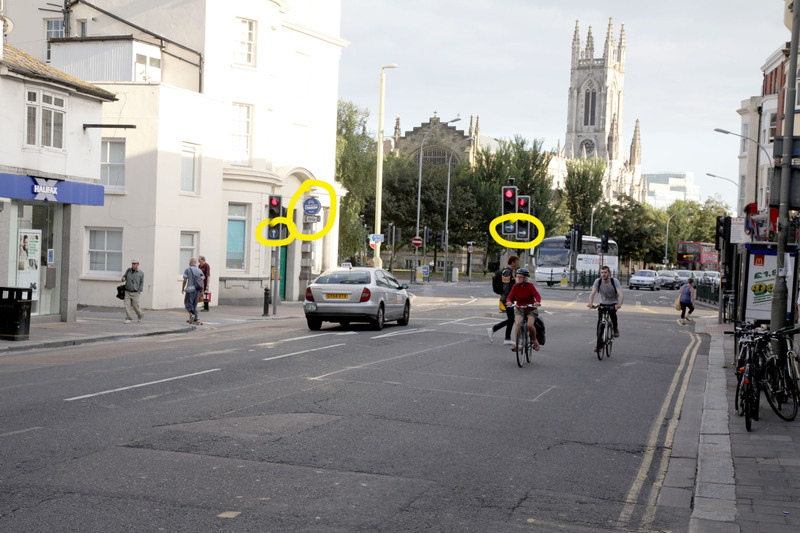 7. travelling south along London Road a motorist is highly restricted in making left turns (e.g. to go to east along Lewes Road). If Oxford Street is closed to such traffic then the only route for sizeable vehicles is to go west up Cheapside and make a complete circuit via Preston Circus. The last three points (5,6,7) were made with considerable emphasis by Bob Curtis (representative of London Road Traders, and the Federation of Small Businesses) and hopefully he and Ann Townsend the co-Chair of London Road Traders will have made their own definite representations on these points. (1) from the pedestrian point of view the crossing at the end of Oxford Street (next to Boots) is at least unfriendly and frustrating and at worst dangerous. 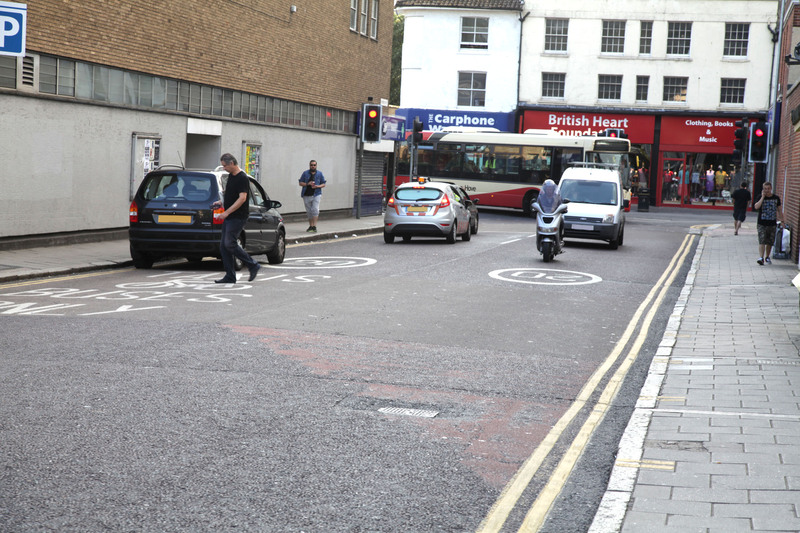 Pedestrians regularly walk into the road before the green man shows – they cannot see which way traffic is coming and get frustrated at the delay. An improvement for shoppers on foot would be very welcome. (2) From the motorist‘s point of view the journey south along London Road is confusing, and frustrating – the line of sight indicates a route south (past St Peters) and the possibility of a left turn in St Peters Place, but the traffic system only allows a right turn up Cheapside. As mentioned above this has the effect of sending (say) Lewes bound traffic round the whole system again. Motorists repeatedly traverse the restricted area of road and the proposed TRO would in fact enforce the unsatisfactory route through Cheapside. Yet a proper solution to this unsatisfactory situation is badly needed. One wonders whether a holistic solution which embraces the York Place/St Peters place traffic flow, and links transparently with the Valley gardens scheme would be the best solution. (3) From the point of view of buses (and taxis?) 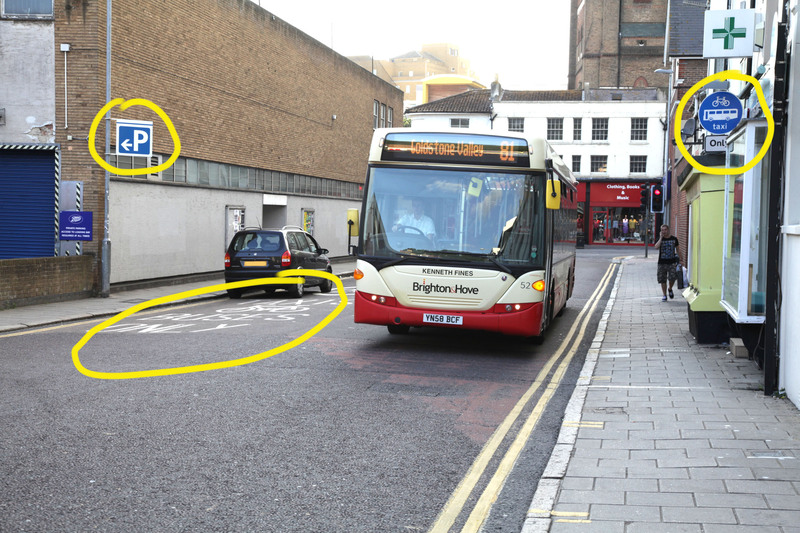 – so we understand from Brighton and Hove bus company – this junction is very busy and extremely important. One wonders whether, if another route were found for private and commercial traffic to go east, then the traffic lights and lane disposition at Oxford Street should be optimised for this use only? 1. The current situation is unsatisfactory. 2. The proposed TRO has the virtue of clarifying and regularising the existing prohibitions. They would become enforceable. 3. The proposed TRO is inadequate in itself to produce a satisfactory result for pedestrians and motorists and would produce its own problems. Whatever decision the committee comes to I would earnestly request that much more work is done to achieve a holistic solution to the larger problems. Having read the public meeting notes of a mini lat held by london raod action team, I find it hard to believe and very disturbing that this Western end which is road marked and signed as a bus lane is in fact not. The police have previously fined people in respect of entering this bus lane from the London Road end. In contravention of the signs either side of the road clearly stating no access expect BT&C. There is no traffic light signage from the northern approach. There is from the southern approach a clear no right turn for anything except BT&C. 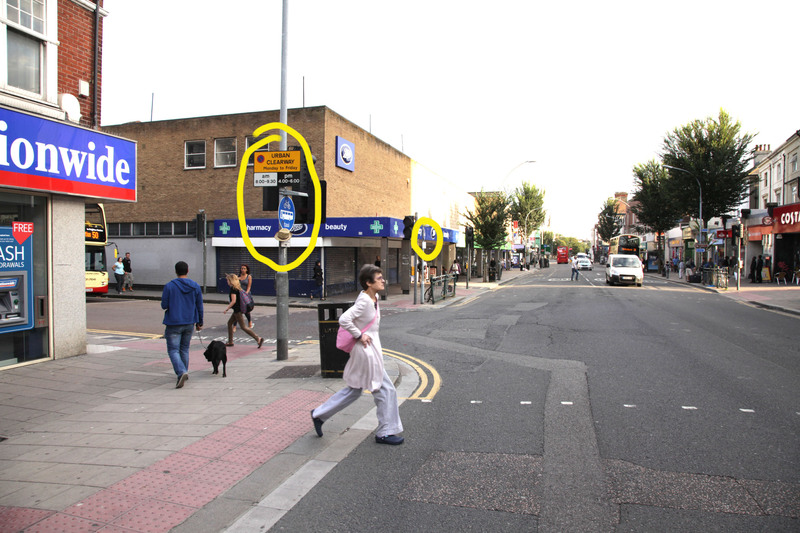 Entry from Oxford street to London road is clearly marked either sde of the, and on the road with Bus Lane signs. In that case why has the bus lane been marked for the last 5 years to my knowledge? 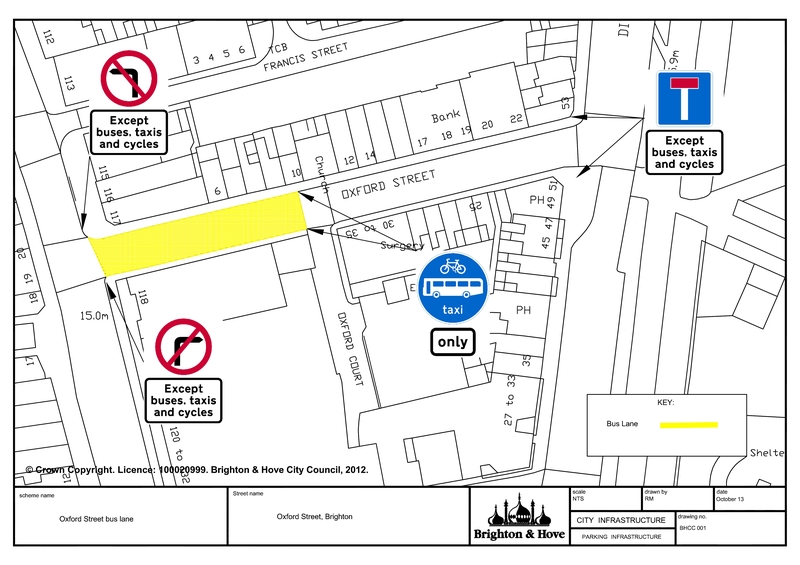 “There are other bus lanes in Brighton & Hove for example on London Road and the A259. These will be clear to see as they have signs and road markings to let you know where they start and end. in that FOI they do not dispute the legality of this bus lane, there is a camera at this location. Most of the traffic entering from oxford street heading into london road would be better of entering baker street and then exiting. They possibly only use Oxford street for the benefit of traffic lights. Another comment is buses “speeding round” the corner. This is probable due to the lights being on a timer and not sensor controlled and vehicles trying to make the turn before pedestrians cross against their red man. Supposedly we have to wait till October meeting to see if the TRO can be initiated. Add to the comment over vehicles parking against the bat and ball PH, vehicles also park on the southern side of the “bus lane” in a marked taxi and blue badge bay. The signs on the Northern side stating “no stopping” or similar have been removed and not replaced. “these restrictions are seen as poorly signed and thus unenforceable by police” so why do they fine people for using this road? are they in breach of the unenforceable signs? in contravention of the no right turn order on the traffic lights? and why issue fines if the council say its their job?